I treasure things from years gone by. I hold onto birthday cards throughout the years. 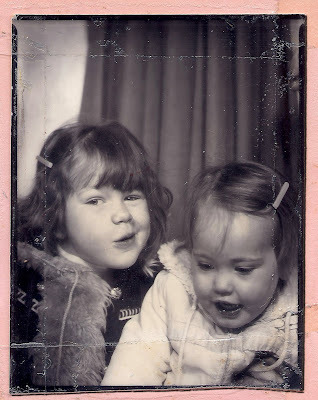 Old photos are keepsakes. Various material objects from those who have passed I consider to hold the value of gold. Hand written recipes by my mother-in-laws step-sister. 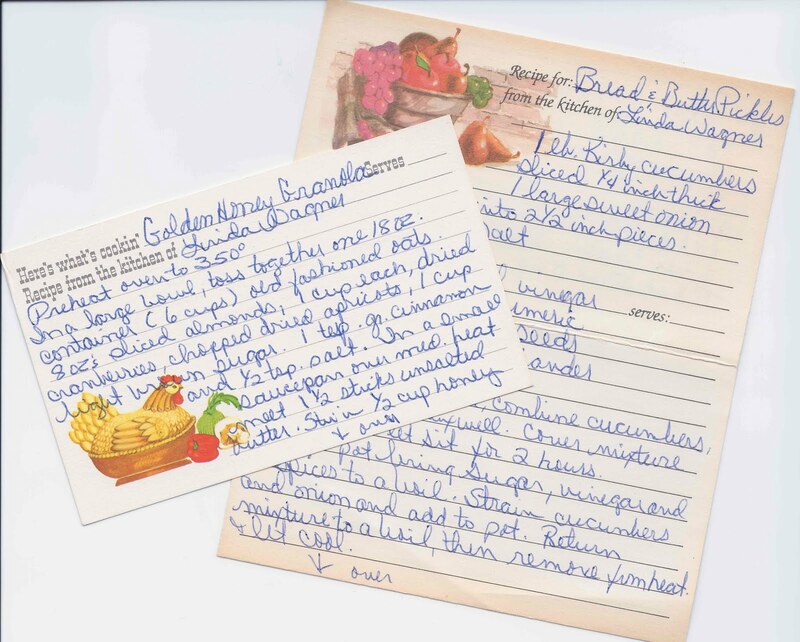 Such a rarity to see these any more amoung our computer generated recipe cards. Let alone new ones. Not many people spend the time to sit down and write these out during our busy days. What a treasure! I want to frame these and hang them on my kitchen wall. I want to preserve them for future generations. Maybe that is going a little too far. Regardless I will take great care of these and hope that my children or grand children will one day appreciate them just as much as I do. I found this stuffed in a box, taped inside a construction paper photo album I made in grade school. This is the only copy of this picture. Don't you dig my faux fur winter cost and home cut hair. I know, adorable. The best gift I have ever received was the family cookbook from my grandmother that was written out by hand by her mother and aunts. @Rachel what an incredible gift. My mouth just dropped to the floor with the thought of it. What a treasure and a keepsake! Truly priceless. Or on my blog post for that matter. 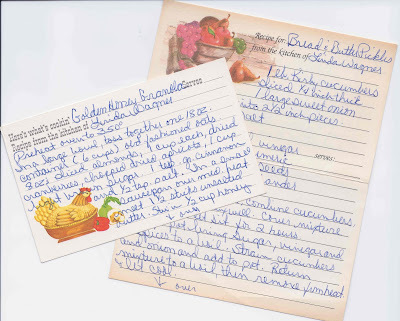 You will receive recipes and a recipe box from your great grandma Ruth. Just come visit your mother. I'm sure you will find some treasures. She was a remarkable woman, just like you. Cute picture..... Yep, you are adorable then and now. Just what..so is that toddler on your right.